When you were a child, the Wicked Witch may have been quite frightening. Who could blame anyone for being afraid of her and, not to mention, her army of hairy henchmen? We are, of course, talking about the flying monkeys she sent out to do her bidding. Those creepy guys were straight out of a child’s worst nightmare! However, nowadays, we’ve gotten much busier in our old age and we just wish that we had just one of those winged primates to help us out from time to time. Well, now there is no need to dream about having such help around the house in your daily life. You can simply grab this Flying Monkey Pet Costume and you’ll have the most loyal as well as the cutest henchmen in town. 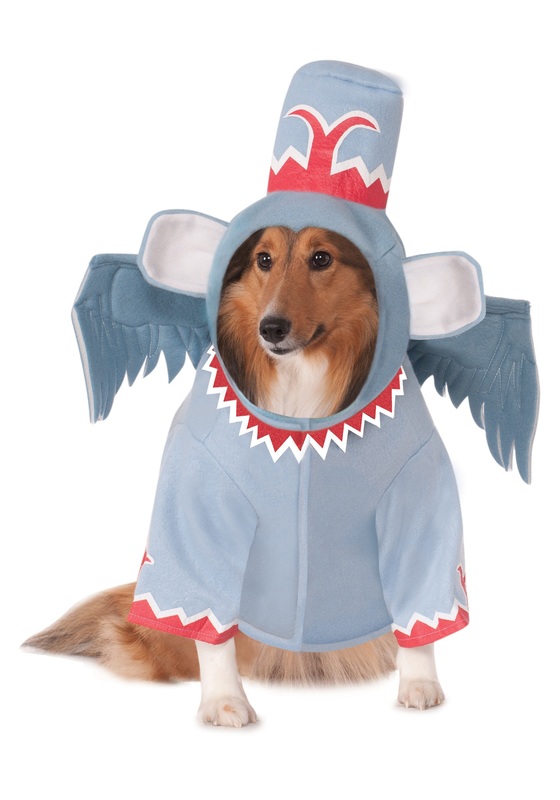 Dress up as a wicked witch or a quirky citizen of Oz and go around the block this Halloween with your own flying monkey!